In the previous session, the currency edged higher by 4 paise to settle at 71.08 amid weakness in the greenback in overseas markets after the US Fed kept interest rate unchanged. 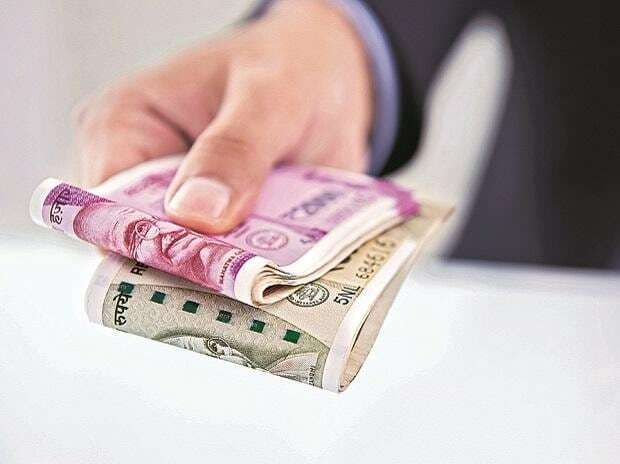 The rupee traded flat at 71.07 levels against the US dollar in the early trade on Friday ahead of Interim Budget 2019 presentation due later in the day. Rupee consolidated in a range of 71.00 and 71.30 on Thursday. In the first half of the session, volatility may be confined to a narrow range but post the Interim Budget announcement, volatility could increase, says Gaurang Somaiya, Research Analyst (Currency) at Motilal Oswal Financial Services. "Today, we expect the USD/INR pair to quote in the range of 70.70 and 71.40," Somaiya added. In today’s Interim Budget, market participants will keep an eye on the fiscal deficit target. If the fiscal number is raised higher, the rupee could come under pressure in the latter half of the session, the analyst added. On the global front, Asian shares backed away from four-month highs on Friday as a dismal survey on Chinese factory activity dulled optimism about the prospects for a Sino-US deal on tariffs. Oil prices held steady in the early trade. International Brent crude oil futures were at $60.87 per barrel at 8:14 am, 3 cents above their last close. US West Texas Intermediate (WTI) futures were at $53.70 per barrel, down 9 cents, or 0.2 per cent their last settlement, said a Reuters report.